The HARA March Madness TARC launch was a fantastic success with over a hundred people attending at Bragg farm on a mild calm day. 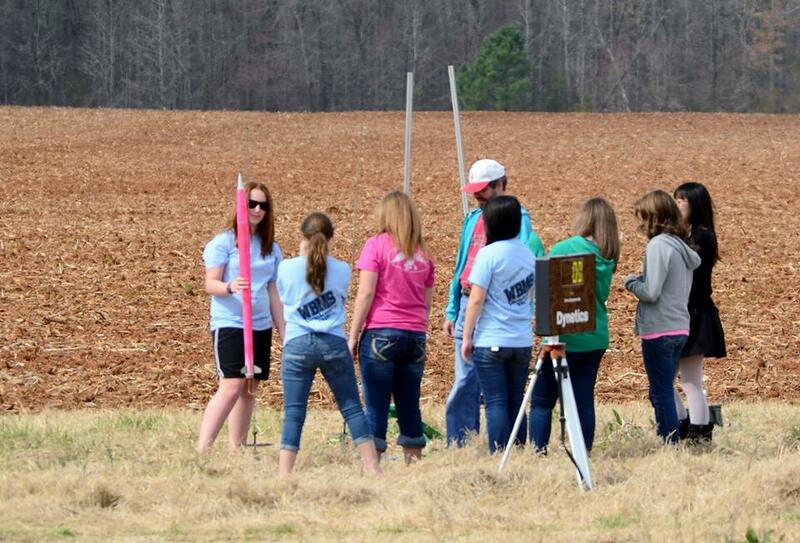 Ten teams from six schools made a total of 43 flights, almost twice the number of launches from last year. The skill of the students in their flights was very impressive. Despite the challenge of getting out two chutes on two eggs most rockets had good deployments but missed the 48-50 second target window. Scores were much higher than other years with times and altitudes all over the place, but no one knows the national average yet to be able to rate themselves. Most of the flights were practice with only eight qualification attempts made by five teams which are recounted here. Liberty’s seventh grade team started off with a 194.24, and then got better with a 70. 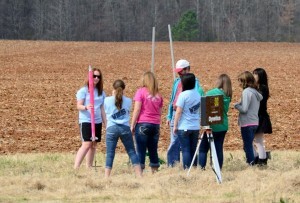 They finished on their last shot with a respectable 37.44. The JPII team, “Jurassic TARC” made two practice flights and then scored a 26.05 and sat on it to have the best of the day and the current regional lead. The Falcon’s practiced with the Green Hornet, which took this video https://www.youtube.com/watch?v=tZwTpdp5PU4 and is a nice overhead view of the field that day. 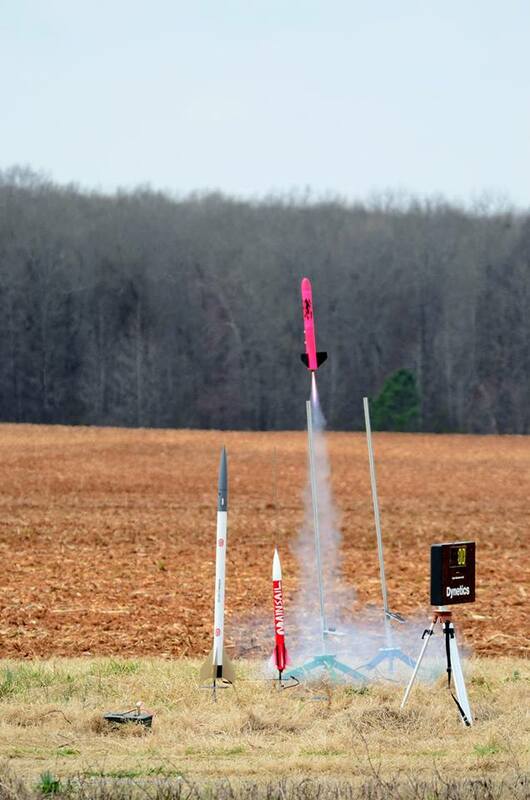 They then flew their other rocket for points, Pink Floyd and got a 41.18. The Lebanon boys took a 67.26 mark with their qualification. Brentwood-had an altimeter failure in a flight but then posted a 131.98. Their next attempt improved to 57.38 but the capsule hit the gravel in the road and broke both eggs to DQ. 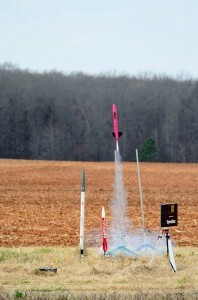 There are still a few weekends left for more qualifications and to see who really does well and goes to the finals, but this year’s sixth HARA TARC launch has opened the rocket games. Thanks to everybody who came out to support this education program and to the ongoing work you do with the students; rocketry is a fun way to learn.